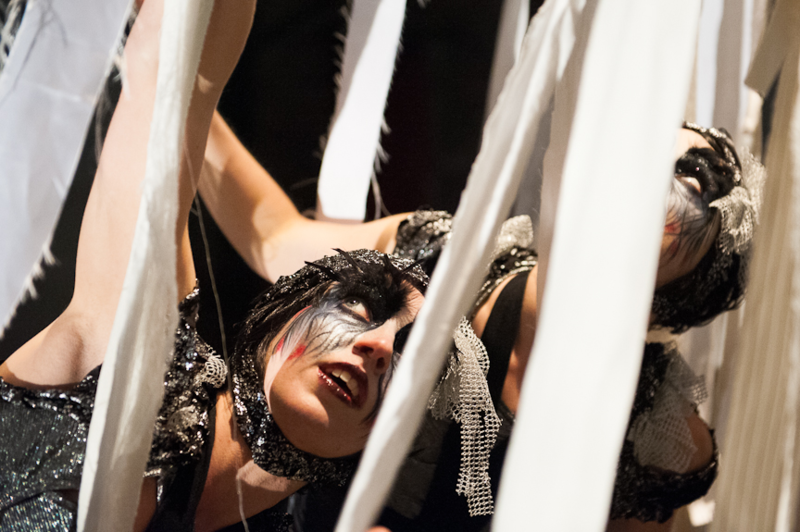 Paper Doll Militia has roots in circus, original music, puppetry, and dreamy, whimsical, dark storytelling. Read The Melancholy Death of Oyster Boy and think of us in a cafe in the desert dreaming of circus with a story. That’s who we were, that’s who we are. The Paper Doll Militia purpose is to enrich the cultural life of the community through dynamic movement, storytelling and education. We seek to create a total visual and emotional experience. 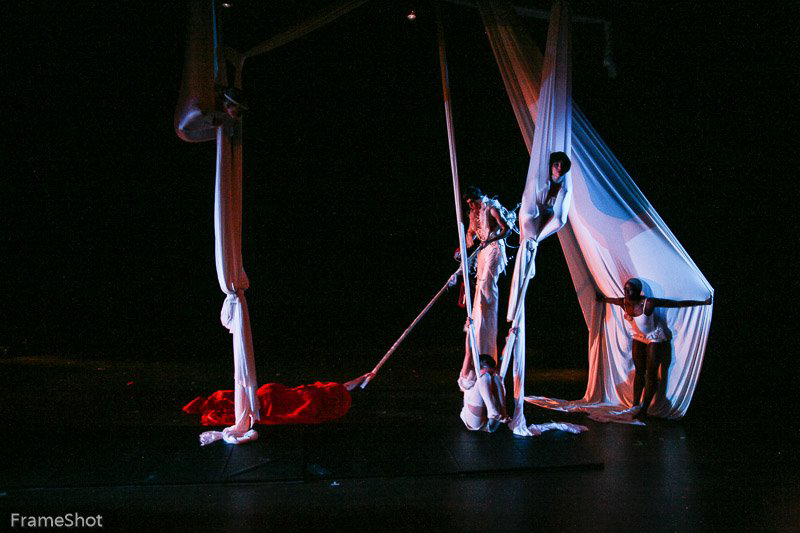 In the creation process, we emphasize interdisciplinary collaborations within the larger artistic community, Our educational programs focus on aerial skill building and theatricality and are designed to instill a sense of discipline. creativity, and empowerment. Sarah Bebe Holmes’ aerial style is characterized by quality of movement, emotional narrative content, and original innovative choreography. Notable performance credits include: Chicaco Contemporary Circus Festival, Manipulate Visual Theatre Festival, National Mallakhamb Championship (Mumbai, India), Treasure Island Music Festival (San Francisco), and Derry City of Culture (Ireland). Sarah also co-founded Structural Integrity Project (SIP), an international aerial film project that challenged the concepts of what an aerial production could be; the SIP filmed aerial in unexpected rural and industrial locations, including aerial silks on a banyan tree outside an abandoned palace in Lebanon, aerial chain suspended from stationary cranes in Edinburgh, and the underside of the onramp to the Golden Gate bridge in San Francisco. In 2010-2011 Sarah toured as aerialist and puppeteer with London-based threesixty Entertainment’s 1300-seat pavilion production of Peter Pan. Sarah played Luce in This Twisted Tale, (U.S. Tour and Edinburgh Fringe Festival). 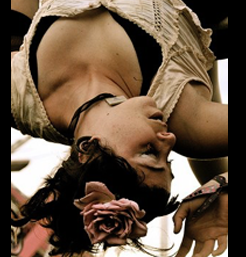 Sarah is a choreographer and director for circus and aerial theatre productions including Sharashif (Beirut Lebanon), Two and a Half Sisters (Zagreb, Croatia), SnowQueen (Zagreb, Croatia) and RISE (Edinburgh Scotland).